2019's award success begins for Gaga with Grammys while the former first lady made a surprise visit at the Staples Center. Earlier tonight, the Grammy boasted a strong lineup of female performers and nominees. 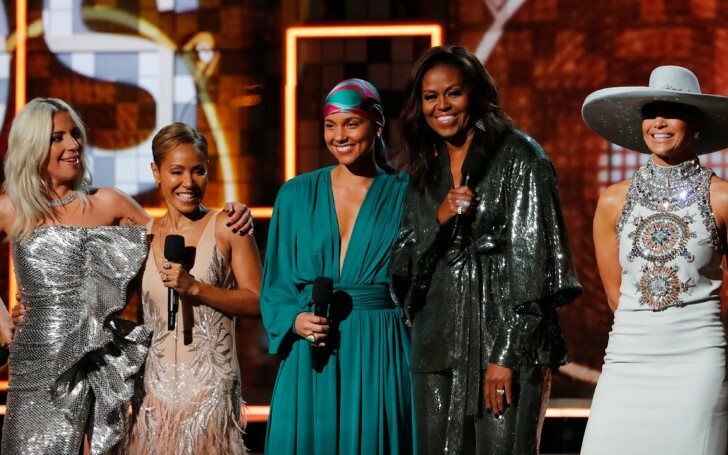 The Music Academy sprung a surprise by including Michelle Obama in an opening segment that also featured Lady Gaga, Jennifer Lopez, actress Jada Pinkett Smith, and host Alicia Keys talking about the power of music. Childish Gambino’s scorching hit This is America became the first hip-hop track to win a song of the year-Grammy on Sunday, while this year’s Oscars nominee, Gaga dominated the early awards amidst the bewildering appearance from the former US first lady, herself. 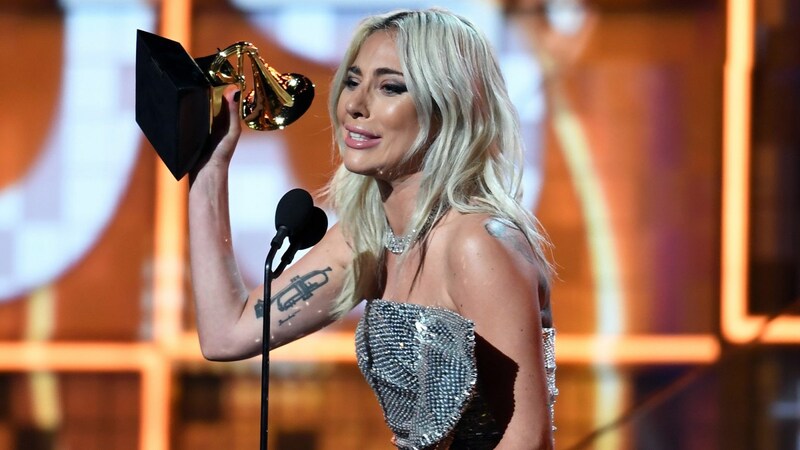 Quite inevitably Germanotta’s hit song Shallow from the movie A Star is Born won her two Grammys, while the musician-turned actress also took home a third Grammy for her Joanne (Where Do You Think You’re Going), which won from the group--pop solo performances. “From the Motown records I wore out on the (Chicago) Southside to the Who Run the World songs that fuelled me through this last decade, music has always helped me tell my story,” Mrs. Obama told the cheering celebrity audience in Los Angeles. “It allows us to hear one another, to invite one another in,” the 55-year-old added. Meanwhile, here are the garden-fresh winners from the ceremonial that took place a few moments earlier tonight along with some other notable highlights. Quickies: Each year artists go head-to-head for four of the most prestigious GRAMMY Awards — Record Of The Year, Album Of The Year, Song Of The Year, and Best New Artist. The winners of these four coveted prizes will be distinguished as a beau monde of the year in music or so as per the decision made by the more than 11,000 members of the music community that make up The Recording Academy's voting body — professionals with creative or technical credits on six commercially released tracks, including musicians, vocalists, songwriters, producers, composers, engineers, and other qualified music professionals. The drapes of the night first lifted off with a collaborative performance featuring former Fifth Harmony Singer, Camila Cabello, Latin artists J Balvin, Ricky Martin and Young Thug. Rapper Childish Gambino’s This is America, about police brutality and racism, then bagged the first big award - song of the year - as well as an additional best music video, and best rap performance. Surprisingly, Gambino (Donald Glover Jr), as well as Canadian rapper Drake and Kendrick Lamar, were also among several influential stars who were no-shows at the biggest night in music. Their absenteeism was seen as somewhat of a revolt due to the reason--academy snubbing of awards from the hip-hop that has often shut off the respective artists out of its top prizes, despite rap’s dominance as the biggest music genre in the United States. Belcalis Marlenis Almanzar aka Cardi B won the best rap album for her rap album Invasion of Privacy which in turn marked her first ever Grammy statuette. She was also nominated for other six Grammys including Album of the Year, Record of the Year for "I Like It," and Best Rap Performance for "Be Careful." The 37-year-old, folk singer Brandi Carlile became the early winner when she took two Grammys for her Americana music single The Joke and another for her album, By the Way, I Forgive You. Another absentee, Ariana Grande, who pulled out of the show last week after a dispute with producers, won her first Grammy, best pop vocal album for Sweetener. “This is wild and beautiful. Thank you so much,” Grande posted on her Tweeter handle. 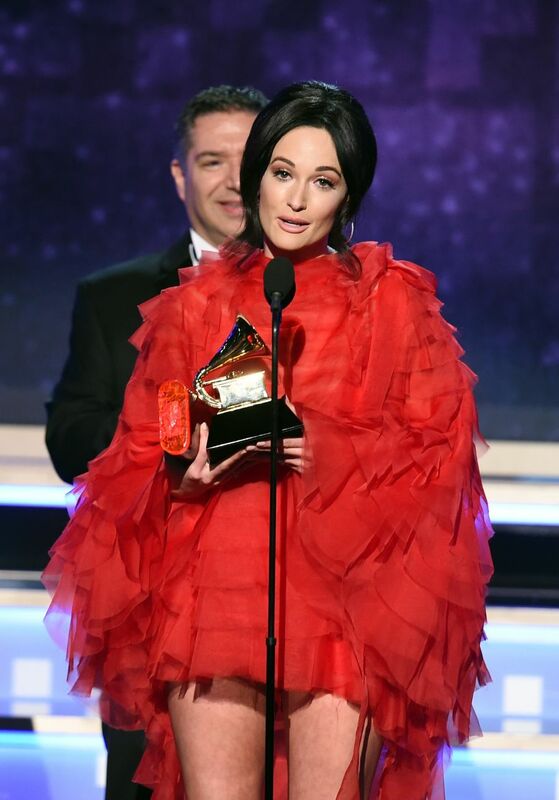 Ultimately, the 2019’s gramophone award for the album of the year went to the 30-year-old country singer, Kacey Musgraves’ for her collection of tracks entitled Golden Hour. The honors--competing for this award number 2 included the likes from Janelle Monae’s Dirty Computer, Carlile’s By The Way, I Forgive You, newcomer H.E.R’s self-titled H.E.R., and a featured soundtrack from the 2018’s Black Panther.